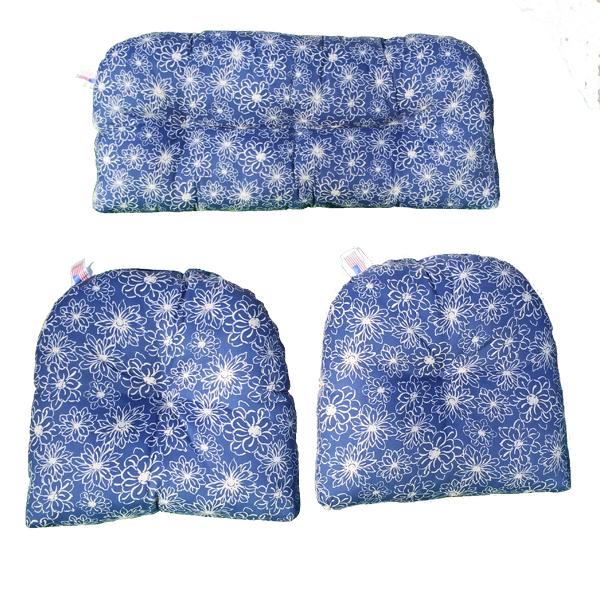 Our Deluxe Tufted Cushion Sets Are Made In The USA! Replacement cushions will renew your patio wicker furniture. 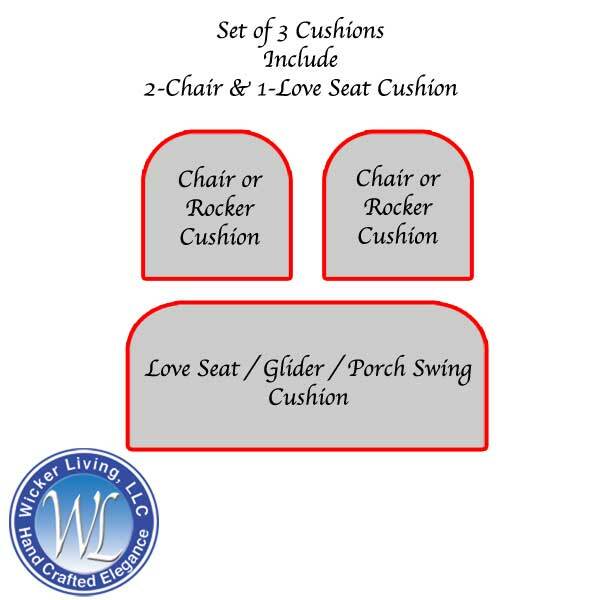 Purchase a wicker cushion set getting the cushions you need all at one time rather than shopping for individual cushions. 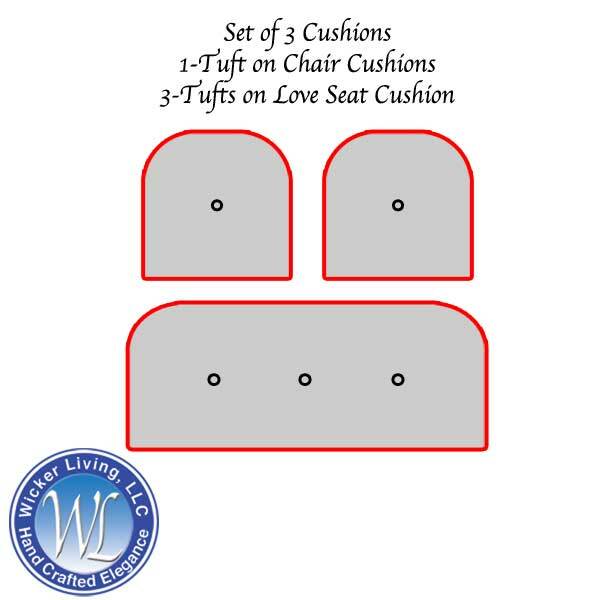 If you need a three piece set of tufted cushions for a 2-chair and 1-love seat furniture set, choose this three piece replacement cushion set and save about 12% as compared to buying these same cushions individually. 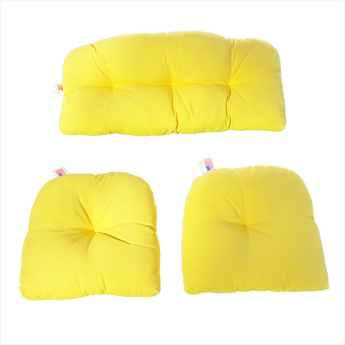 These are the same cushions you would receive if you purchased them individually but you save by buying the set and save money. 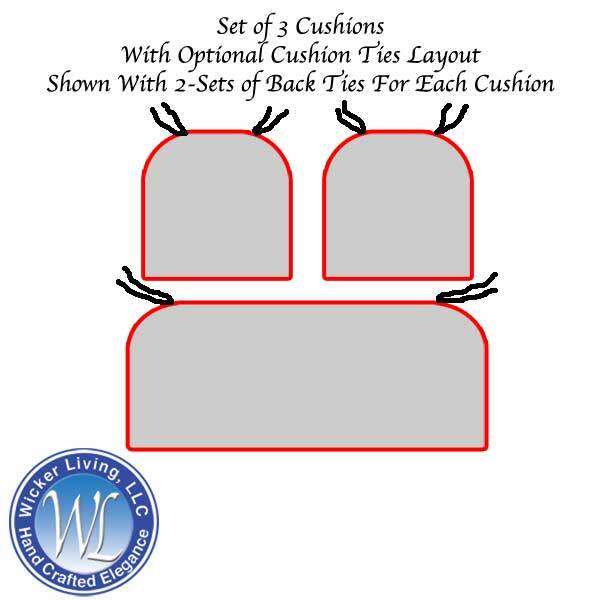 The only requirement is that we will use your choice of one fabric for all three cushions. If you want different fabrics used, you must order them separately. Note: The more tufts in a tufted cushion, the thinner it gets and the more firm it becomes.